Surprise! 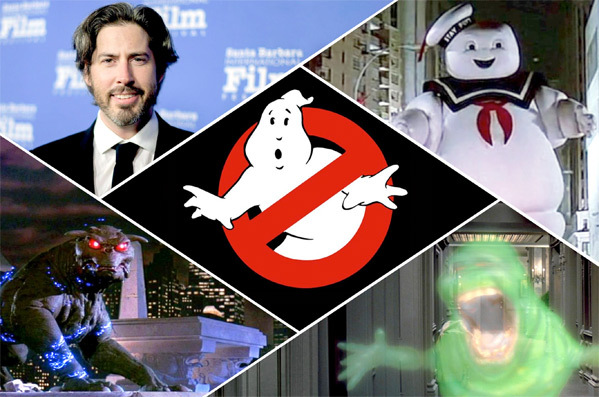 Sony Pictures has revealed that filmmaker Jason Reitman has been secretly working on a brand new Ghostbusters movie, officially set for release in the summer of 2020. To go along with the reveal of this news, they've released a very short teaser trailer that Reitman himself shot. It's nothing much, just a re-reveal of the original Ecto-1 hiding out waiting to be found again. Jason is the son of Ivan Reitman, who directed the original two Ghostbusters movies back in 1984 and 1989. Jason tweeted out yesterday: "Finally got the keys to the car." The cast and details on the new movie have not been revealed, only to say that it will continue with the storyline from the first two (and skip right over Paul Feig's female-Ghostbusters movie from 2016). "This is the next chapter in the original franchise. It is not a reboot. What happened in the ‘80s happened in the ‘80s, and this is set in the present day." Can't wait to find out more about this. Check it out. Description from EW: "It begins on a quiet night outside a weather-worn barn. Someone is tinkering on a machine that stubbornly refuses to start… Whoever is working on the device finally powers it up, and the off-camera glow of what looks like a burst from a broken proton pack floods the barn and lifts the tarp covering another familiar machine — the rusting back end of the original Ecto-1." The new Ghostbusters movie is directed by Canadian filmmaker Jason Reitman, of the films Thank You for Smoking, Juno, Up in the Air, Young Adult, Labor Day, Men Women & Children, Tully, and The Front Runner previously. The screenplay is co-written by Jason Reitman and Gil Kenan. Sony Pictures will release Reitman's Ghostbusters in the summer of 2020 - no exact release date is set yet. Shooting will start in the next few months in order to make that release date. Stay tuned for more updates from here. First impression? Who's excited already?